Polyvinyl chloride is one of the most widely used plastics worldwide. A major problem in the recycling of polyvinyl chloride is the high chlorine content in raw PVC and high levels of hazardous additives added to the polymer to achieve the desired material quality. As a result, PVC requires separation from other plastics before mechanical recycling. 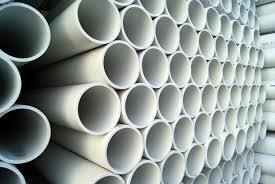 PVC products have an average lifetime of 30 years, with some reaching 50 or more years. This means that more PVC products are reaching the end-of-life and entering the waste stream, and the amount is likely to increase significantly in the near future. Mechanical recycling – This involves mechanically treating the waste (e.g. grinding) to reduce it into smaller particles. The resulting granules, called recyclate, can be melted and remolded into different products, usually the same product from which it came. Feedstock recycling – Chemical processes such as pyrolysis, hydrolysis and heating are used to convert the waste into its chemical components. The resulting products – sodium chloride, calcium chloride, hydrocarbon products and heavy metals to name a few – are used to produce new PVC, as feed for other manufacturing processes or as fuel for energy recovery. In mechanical recycling, because no chemical reaction is involved, the recyclate retains its original composition. This poses a recycling challenge because PVC products, depending on their application, contain different additives. For example, rigid PVC is unplasticized whereas flexible PVC is added plasticizers because this additive increases the plastic’s fluidity and thus, its flexibility. Even products used for the same application may still differ in composition if they have different manufacturers. When different kinds of PVC waste are fed to a mechanical recycler, the resulting product’s composition is difficult to predict, which is problematic because most PVC products, even recycled ones, require a specific PVC content. In order to produce a high-quality recylate, the feed ideally should not be mixed with other kinds of plastic and should have a uniform material composition.Material recycling is therefore more applicable for post-industrial waste than for post-consumer waste. Feedstock recycling is seen to be complementary to conventional mechanical recycling as it is able to treat mixed or unsorted PVC waste and recover valuable materials. However, a study showed that feedstock recycling (or at least the two that was considered) incurred higher costs than landfilling, primarily due to the low value of the recovered products. This provides little incentive for recyclers to pursue PVC recycling. This may change in the future as more stringent regulations to protect the environment are enacted. Some countries in Europe have already banned PVCs from landfills and PlasticsEurope is targeting a “zero plastic to landfill” in Europe by 2020. Post-industrial waste is relatively pure and comes from PVC production and installation, such as cut-offs from laying of cables or scraps from the installation of window frames. These are easily recycled since they can be collected directly from processors or installers or even recycled by producers themselves as raw material to manufacture the same product. Post-consumer waste contains mixed material and has been used for different applications. These are products that have reached the end-of-life or are replaced due to damage, like pipes from underground, window frames being replaced for renovation and electric cables recovered from demolition. These would require further sorting and cleaning, adding cost to the recycling process. The recyclate produced is usually of lower quality and consequently of decreased economic value. Europe is leading the way for a more sustainable use of PVC with programs, such as RecoVinyl and VinylPlus, where recycling is advanced as one of the ways to use resources more efficiently and to divert as much waste as possible from landfills. Recovinyl, created in 2003, is an initiative of the European PVC industry to advance the sustainable development of the PVC industry by improving production processes, minimise emissions, develop recycling technology and boost the collection and recycling of waste. Having been successful in all of its goals, including an increase in recycling of PVC across Europe to over 240,000 tonnes a year, in 2011 the PVC industry redefined the role of Recovinyl as part of the ambitious new ten-year VinylPlus sustainable development programme. VinylPlus works in partnership with consumers, businesses, municipalities, waste management companies, recyclers and converter, as well as the European Commission and national and local governments. The goal is to certify those companies who recycle PVC waste and those accredited converting companies who purchase recyclate to manufacture new products and applications. Even if some types of PVC recycling are not feasible or economically viable at present, it will likely be reversed in the future as governments, manufacturers, consumers and other stakeholders create programs that innovate and find ways to achieve a sustainable future for the PVC industry.